Even more so than getting married, having a child is a profoundly spiritual passage of life, as husband and wife enter a dramatic new phase in marriage and personal growth. At the same time, God brings their child into the world already primed to know and to grow in him. This confluence of transitions often has new parents thinking more earnestly about God and what faith will mean to their growing family. What kind of parents will we be? Will we avoid repeating mistakes from our past? How will we spiritually nurture a new life? Couples don’t have to wrestle with these issues alone. A body of knowledge found in the Bible and from Christian experience throughout the ages speaks directly to this major life event. 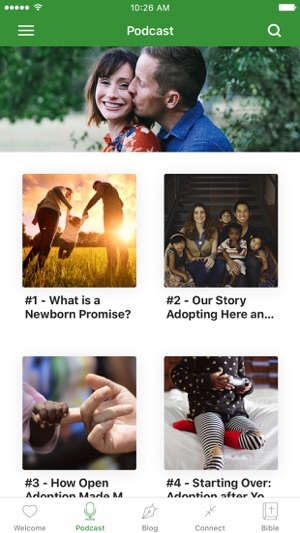 Created by Graham Blanchard’s well-regarded content development team of parents, teachers, and pastors, the Newborn Promise Project App serves as a faith-building hub of resources to help today’s new families grow with Jesus during this transformative season. Newborn Promise Podcast – more than 30 episodes! Tune in as author and host Audra Haney interviews popular Christian artists, speakers, family planning experts, pastors, and experienced moms, and dads. Topics range from "Building Your Family," covering infertility, miscarriage, adoption, and more, to "After the Baby Arrives," reporting from the trenches of new parenthood. Each episode includes first-hand accounts that will guide and inspire expecting and new parents, and offer basic survival strategies along the way. • Spiritual Parenting in the First Five Years — understand the important first five years of your child’s spiritual life and get simple but powerful ways to nurture it with this app-linked eBook. • Faith Style Quiz — assess individual strengths and potential spiritual parenting blindsides, and then receive corresponding insights to round out your faith life. • Blog Library — find support to spiritually survive and thrive, along a healthy dose of laughter for the tougher days. • Social Media Links — engage with experts and authors to find answers. 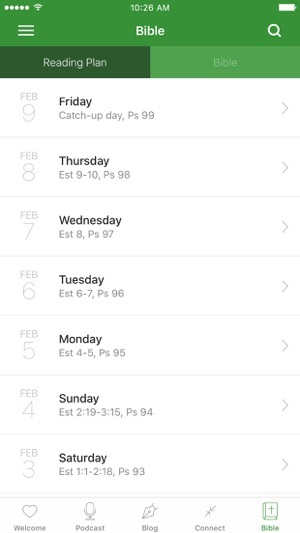 • The Holy Bible, ESV — have convenient access to the greatest Wisdom of all. 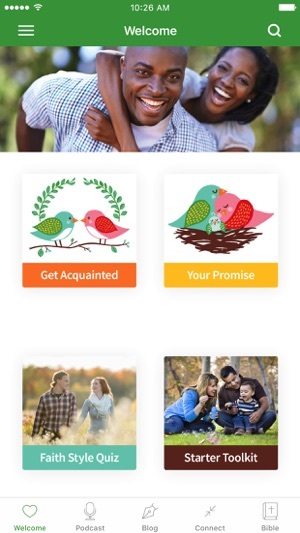 This App complements “Your Newborn Promise Project: A Pre-Parenting Primer for Christian Husband and Wife” and “Your Newborn Promise Project Group Study” by Callie Grant, Audra Haney, and Charissa Kolar. For children ages 0-7, Graham Blanchard offers the original Learn, Absorb, and Praise™ board book collection, which has received more than 500 positive reviews by Christian bloggers and parents. “Your Newborn Promise Project Wings,” an enriching activity and coloring book, helps young children to start thinking about what life “born of the Spirit” means for them (John 3), as they imagine, create, solve, and draw (ages 4 and up). Graham Blanchard’s mission is to build up families in Christian faith. For more information, visit http://www.grahamblanchard.com. There just aren't a lot of resources out there for expecting and new Christian parents. This app fills that gap perfectly! This topic is so important for expecting and new parents!